Tayo Lawal's Blog: Nigerian students sue U.S University for diverting scholarship funded by GEJ's govt. 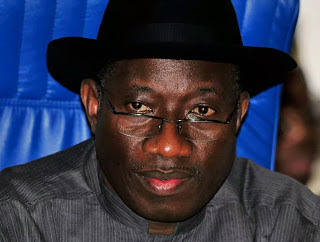 Nigerian students sue U.S University for diverting scholarship funded by GEJ's govt. Nigerian students up to 41 in number who were granted full scholarship to study at Alabama State University, have sued the institution for acts of discrimination spanning years. During the Goodluck Jonathan administration, the students each got full scholarships from a government fund for four years of education. A lawsuit was last week filed by the Nigerians, some of whom have graduated from the university. According to The Daily Beast, they accused the school of charging them excessively for books and meals, enrolling them in classes they never took, and other discriminatory acts. The school was alleged to have inflated the costs of books, hostels, and used funds paid by the Nigerian government to sort out the school’s “bond issues”, pay for “a new stadium,” and a center for civil rights awareness. Julian McPhillips, an attorney who filed the lawsuit said, “because of their Nigerian national origin,” they were not “being treated like other students”. “They called us cash cows. I’m a black man and I’m proud to be black, but I felt discriminated against”, said Jimmy Iwezu, a former student of ASU. “I’ve been here three years and I’m a super intelligent person. I’m not nosy, but I ask questions, and this school thought we don’t know anything and they could do whatever they want to us.